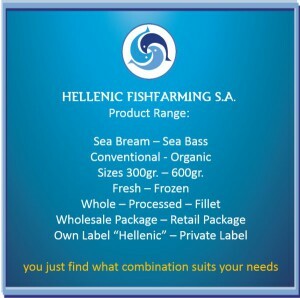 Sea Bass (D.Labrax) | Hellenic Fishfarming S.A. 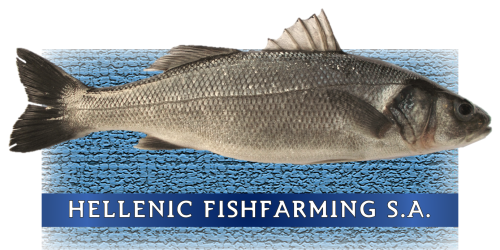 The European sea bass (dicentrarchus labrax) is found in the eastern coast of the Atlantic, the Mediterranean and the Black Sea. It prefers to live in brackish, coastal waters, estuaries and lagoons. In autumn returns to the high seas for reproduction and for all winter remains in deep waters. The reproductive period is placed between the end of October and early March, with the greatest intensity in January at temperatures 11 ° -19 ° C. The development of the eggs occurs at a temperature of 13 ° C, pelagic diameter 1.18 mm and hatching time 4.67 days. The population doubling time varies from 1.4 to 4.4 years. Juveniles form flocks in contrast to adults living independently. It’s extremely voracious carnivore. Characterized by the presence of well-developed teeth which serve to grasp and hold food. Generally, it is a type with a wide range of survival at temperatures between 8 ° -30 ° C, (adults can adapt even in freshwater), and prefers to move in water with pH 7,8-8,3. Optimal temperature for development is around 22 ° C. The maximum size is 103 cm, maximum weight 12 kg and maximum age 15 years.